Moving on! I mean, back to the point! So while I rarely experience FOMO in real life, I realized slowly that I was very much experiencing it on Instagram. For many years, I was checking my Instagram feed almost obsessively. When I wake up, I would scroll on for so long so that I’d be updated on all the pictures I missed overnight, then I would check sporadically throughout the day, especially when I’m bored. It actually started becoming very tiresome and tedious. I started to feel drained from the constant scrolling (because Instagram doesn’t let you continue on from when you left off if you decide to take a break–it just jumps right on back to the top and makes you start all over). I also grew weirdly stuck on the idea that I needed to get more followers–and I have no idea why. Even in real life, I’m a “small group of friends” and “one-on-one lunches” type of gal (holds up fingers as a cross to ward off parties). At that point, I only had my personal Instagram account, but I wanted to improve the aesthetics and get more followers, so I started to post only once everyday–and this got tiring, as well, because I would look for nice photos I had. Sometimes I would not have any photos I wanted to share. Since there was no real risk or consequence of putting up a bad picture on this account, sometimes I would just soullessly upload any picture (usually of my dog because dogs are the best), hate myself, and move on. 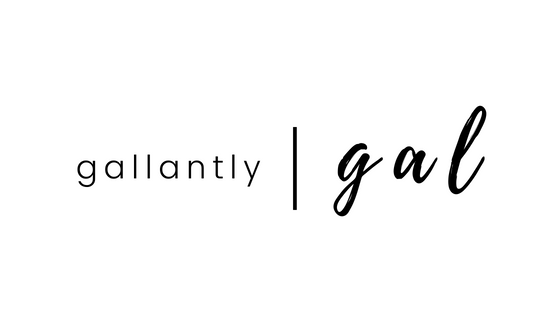 Finally, I decided that I should just make a separate account, especially since at that point, I had created a new blog called… Gallantly, gal! Since I wanted everything to look nice, I could make an aesthetically pleasing new Instagram account to start over with, this time with a themed grid and all that fancy stuff. It would look professional and I could promote my blog this way. I decided enough was enough. I began to stop posting daily. I turned off all notifications so even if I did post something, I wouldn’t constantly be checking every single like and seeing the numbers go up painfully slowly. Most importantly, I just stopped checking the feed so much. I immediately forgot about it, and I didn’t even notice I was missing anything in my life until a few weeks later. See Also: Do introverts really like canceled plans? I had been worrying about missing out, when, in actuality, FOMO didn’t even occur once I cut out Instagram. I forgot all about it. Once in a while, I would be like, “Oh wait, I didn’t check Instagram,” and then move on with life. And let me tell you something… THIS WAS INCREDIBLY FREEING. I was freer. I was happier. I felt lighter. I was surprised that I had never felt so free in months just because I stopped checking some social media app that had somehow become a daily routine of mine. Like it was a leech that drained my precious time, energy, and emotions. After all, I had only mindlessly scrolled through and liked pictures without ever thinking about them ever again. Additionally, like everyone on Instagram, I envied some of these people’s lives because they were always traveling to fancy places. Or their lives seemed so put-together and picture perfect. But that was the thing. Everything was only “picture” perfect. So I un-followed them. And it turned out that I wasn’t actually missing anything. I didn’t know most of the people I was following, and honestly, I didn’t care much about what they were doing. Now I post once in a while when I feel like I have something to offer my followers, which puts a lot less pressure and burden on myself. I am choosing quality over quantity! 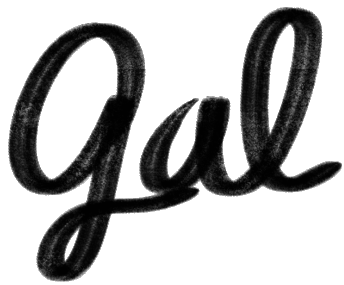 Yes, I still want to grow a following and promote Gallantly, gal. Yes, I may turn to it more full-time in the future. But only once I feel better about it. Once I feel like I can post in a healthier way. Otherwise, this is no longer so high on my list of priorities. I have more important things to deal with–like the actual content on my blog. Like fostering a healthy community of bloggers and readers. Like being consistent with posting and working on the aesthetics on the actual blog, which I enjoy doing a lot more. Now, after I do make a post, I only check once in a while if I happen to remember. And it’s much more pleasing to get a larger update than to follow each single like or sign of interest. It’s much more satisfying and gives a greater sense of productivity when I see higher numbers after a longer period of time. And then I just forget about it all over again until the next time. So if you feel like Instagram is more draining than fulfilling, this is the time to stop. You can take a break like I am. I still have the intention of going back, likely with more consistency, once I feel like I am more prepared and emotionally ready. But if I don’t, I don’t particularly care, either. I have to do what works for me, and right now, that’s putting Instagram on the back burner. This has been my journey with Instagram and my hiatus on the social media app so far. I wanted to share with you because it was a small change in my daily routine that had a surprisingly large impact on my life and well-being. I recommend you reflect on how certain apps or social media make you feel, as well, and then decide if that toxicity is welcome in your life any longer. Certain things may seem trivial or harmless, but why would you ever waste any of your precious time or effort on something that actually does nothing for you? If you have any questions or further insight into this topic, please share them down below! Share your own experience or thoughts on Instagram or FOMO in general. I would love to read all about it! Anyway, love this post and it’s so true – I had this same feeling with Pinterest/Tailwind. The second I made it all about the blog, and needing to get more followers, I lost my passion for it and ended up giving up on it completely! I have separate ig accounts as well.. it helps to not get so caught up in what everyone is doing all the time. One of my accounts is personal – so just friends, the other is for my blog/jewelry! I relate to this post so much! and to me it goes even further in just Instagram. I am contently looking at numbers hoping to go viral somewhere.. but Why? I have no idea its just the thing to do. But will it even effect my personal like? Most likely not. Ha. I really need to step back off social media and give it a break like you are.